A HOMERUN WITH BEGINNER SLUGGERS! 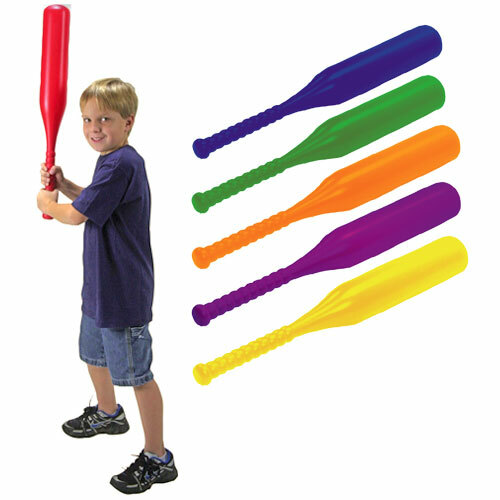 Lightweight, oversize barrel bat is an instant hit with young sluggers. The large barrel increases the chance for greater success and helps to build confidence in the youngest of players. Use with foam or plastic balls. 27'' long, 3.5'' diameter barrel. Weighs less than 5 oz. Each set includes one of each color: Blue, Green, Orange, Purple, Red and Yellow.